The size of Buick Motor Division's plant at Flint, Michigan is depicted in this aerial photograph showing the huge industrial complex which covered nearly 300 acres of ground. 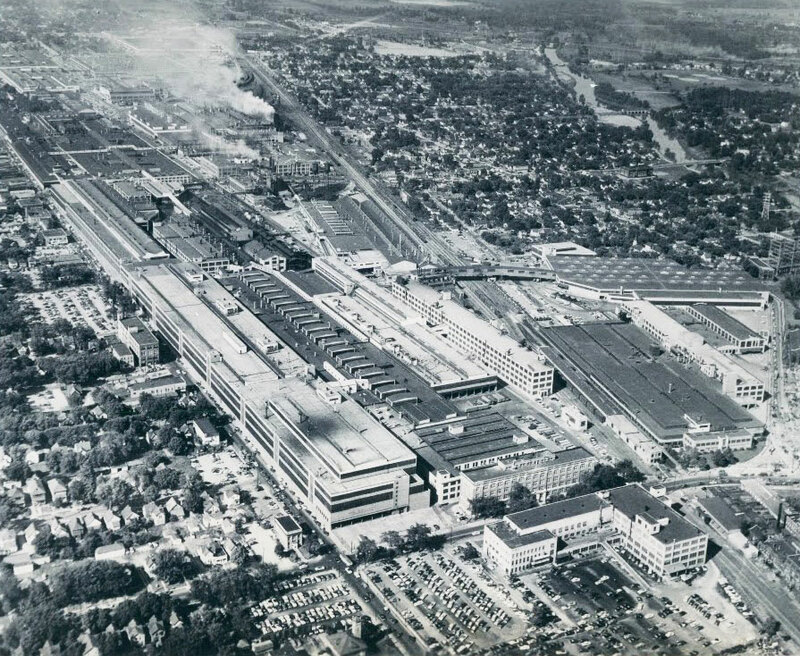 The plant, which comprised more than 100 buildings, employed 26,000 people and had a capacity of more than 550,000 cars a year. Only you can help keep the spirit of Buick alive! 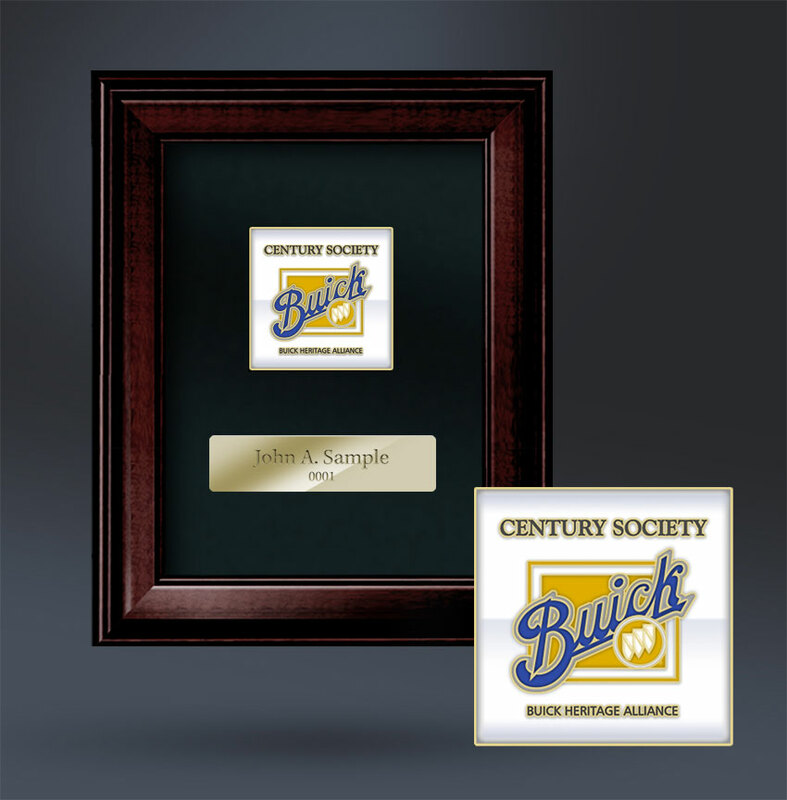 While there are other organizations that preserve Buick documents, no group, other than the BHA, is singularly-focused on Buick and readily offers its information electronically to the world-wide Buick community. Through the BHA website and its extensive research Archive, Buick researchers can conduct a wide-range of research work; this is the premise upon which the BHA was founded. And, through partnerships with various museums throughout the United States, the BHA provides interesting displays of Buick cars and memorabilia to further acquaint the public with Buick’s rich heritage, and to promote public interest in it. Your can support the BHA's work and make a valuable contribution to your fellow Buick enthusiasts everywhere in a variety of ways. All donations are deductible to the extent permitted by law. Please contact our treasurer Jeffrey R. Brashares at jeff.brashares@suntecktts.com or call 614-361-7299 to learn more about donating to the BHA. View a list of Buick Heritage Alliance Donors. The Century Society is BHA’s premier sponsorship. For a donation of $1000, Century Society donors receive a beautiful, custom-designed walnut and cloisonné recognition plaque inscribed with their name and designation as a Century Society member. Or, download a printable Donation Form to mail a donation direct to the BHA. In its ongoing quest to preserve Buick history and heritage, the BHA welcomes donations of Buick literature, manuals, books, documents, memorabilia, and Buick automobiles and parts. Some or all of your collection may be unique. Donating to the BHA ensures that your cherished Buick items will be safely protected, preserved and properly stored. But most importantly, donating your items to the BHA ensures their availability and benefit to all Buick enthusiasts. All donated literature is scanned to provide a secure electronic copy so that copies can be easily made available to all Buick enthusiasts everywhere. The originals are properly stored in accordance with recognized archiving standards. You can celebrate a memorable occasion, remember a loved one, commemorate a milestone or recognize someone with a Tribute Gift in their honor or memory using the online or printable Donation Form. Please be sure to include the name of the person(s) for whom the tribute is being made and the name and address of the person to be notified so that we can appropriately acknowledge your donation. You can make a gift of any amount to the BHA through your will. Your bequest can be made in the form of a stated dollar amount, a stated percentage of your estate or of specific property. The correct name in making a bequest is: Buick Heritage Alliance. There are multiple ways to make life insurance gifts that will provide tax benefits now and reduce your estate taxes later. By purchasing a life insurance policy and transferring the ownership to the BHA, the premium paid each year is tax deductible. As owner of the policy, the BHA receives any dividends and the value of the policy will be excluded from your estate thereby reducing estate taxes. By purchasing a whole life insurance policy and naming the BHA as an irrevocable beneficiary, the premium paid each year is tax deductible and the policy value is excluded from estate taxes. Another alternative is to contribute an existing paid-up policy to the BHA and receive an income deduction for its value. Donating appreciated stocks can be an efficient way to help the BHA. By giving the gift of appreciated stocks, mutual funds, or other types of appreciated property, you can avoid the capital gains tax and obtain a deduction to use on your income tax. Consider using retirement plan benefits to make a gift to help the BHA. And, because of the estate and income tax treatment of retirement plan benefits, the cost of your gift to your estate and heirs is often relatively small. Benefits include assets held in Individual Retirement Accounts (IRAs) and assets held in accounts under 401(k) plans, profit-sharing plans, Keough Plans, and 403(b) plans. There are many ways to structure your estate to meet both financial and philanthropic goals. Please consult with your attorney, accountant, or tax advisor to develop the plan that best meets your needs. If you would like more specific information on the various methods of planned giving, contact Richard Sills at richard.sills@hklaw.com.